Japan is definitely a place where you don’t have to travel too far to be able to experience their country to the full. We had just over 2 weeks so our Japan Itinerary included travelling south of Tokyo all the way to Beppu. If you only have 1 week or less you could easily just do Tokyo and Kyoto or Osaka and another small place nearby such as Hakone. 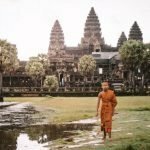 All the main cities are all quite similar in building structure, balance of old and new and volume of shrines and temples. I wouldn’t recommend racing between all the cities just to see them, as that is a lot of expensive travel. But make sure you head to some of the smaller towns too as they have loads of character. Japan is culturally diverse, busy and quirky. A great country for beginner and well-seasoned travellers alike. Tokyo is a must for as many days as possible. 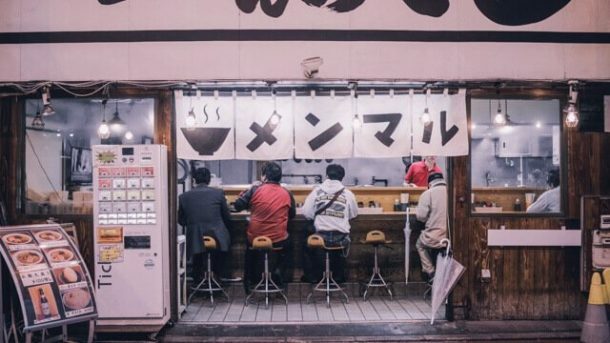 Read about all the things to do in Tokyo below. It is just so big you won’t be able to do as much as you want, no matter how hard you try! After Tokyo head south to Hakone where you will find Mount Fuji views plus loads of Onsen hot spring baths to relax in. Don’t miss Osaka and Kyoto (find out why below)! 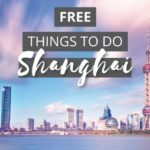 From both, you can do a couple of amazing day trips on the bullet trains to beautiful botanic gardens or the Deer Park to feed friendly deer. 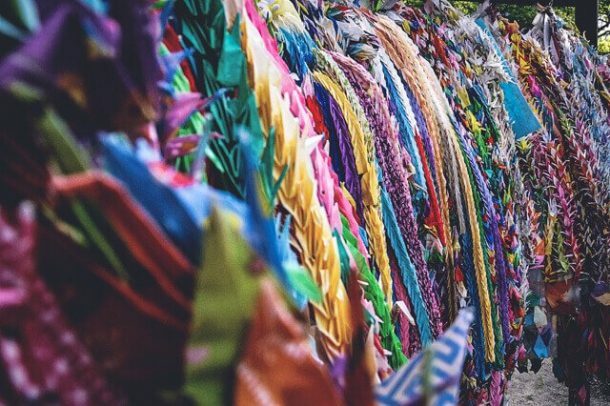 Hiroshima is a necessity for the Peace Park and Museum and finally, you’ll arrive at Beppu; a beautiful mountainous hot spring town that was my favourite place in all of Japan. Click the link to read more about the destination. If you have an 18-day itinerary, a 21-day itinerary or even a one month Japan itinerary I would extend days in Tokyo, Kyoto and Beppu. 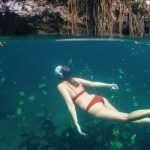 In my opinion, seven days just isn’t enough to explore this incredibly diverse country. 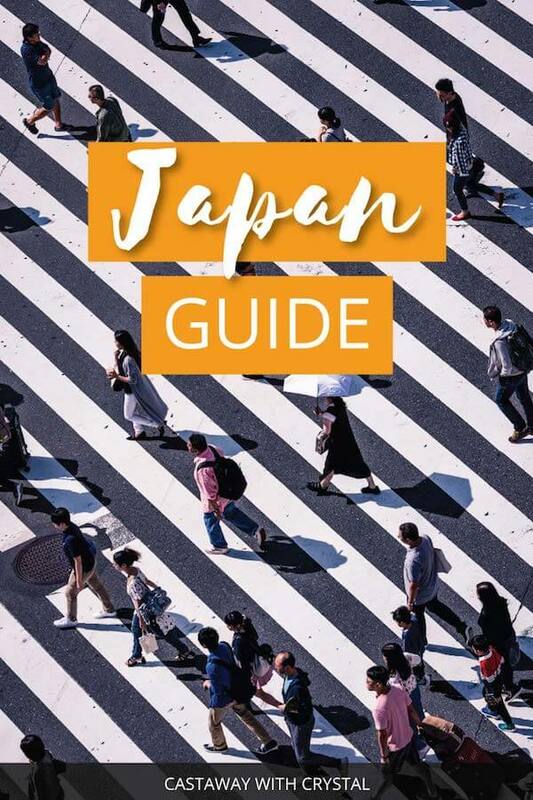 However, seven days is better than none so I’m going to show you how to get the most out of your 7-day Japan itinerary in the short time you have here. 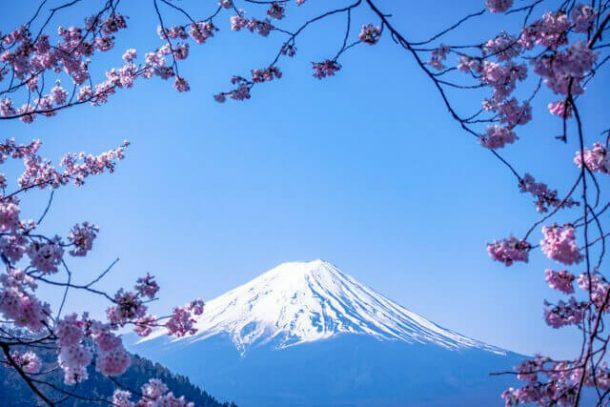 Most likely you will fly into Tokyo where you should spend at least three days, then one night in the mountains of Hakone to see mount Fuji and experience some luxurious Onsen hot spring baths. On the way from Hakone to Kyoto, drop into Nara for a few hours to see the Deer Park and feed the friendly deer. 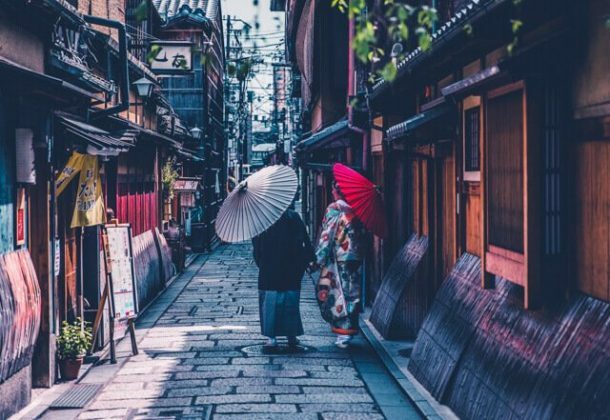 Spend at least a day exploring Kyoto’s torii gates and the Golden Pavillion, the bamboo forest and try to catch a glimpse of a Geisha. 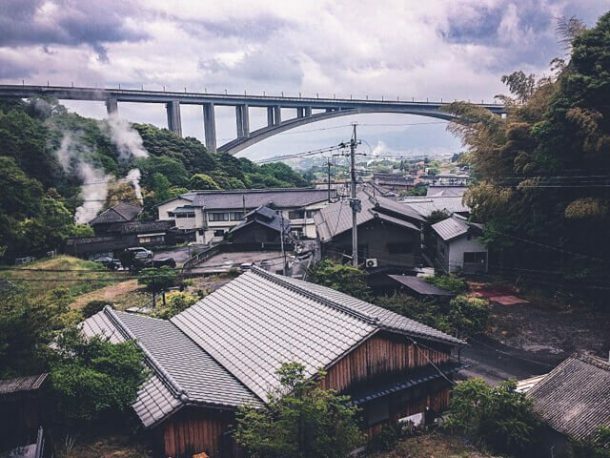 On your last day, you could either spend more time exploring Kyoto, or you could jump on a bullet train to visit one of two places. Kanazawa is an incredible and HUGE Botanic Garden filled to the brim with traditional Japanese style plants. Hiroshima is further away but an incredibly important destination in Japanese history. Take the Train from Kanazawa to Tokyo, or Fly from Hiroshima Airport (HIJ) to Tokyo (HND) or International. To put it simply, Tokyo is crazy. Luckily, if you have a 14 day Japan Itinerary you can spend a good amount of time here. If you are only able to manage a 7 day Japan Itinerary, consider dropping off a city or two to spend more time here. I personally think anything under three days just isn’t enough. Tokyo is HUGE and you’ll at least a day per area on the train line. I found in Tokyo, that no matter how little I’d planned for the day I never managed to do it all. A park that I thought would take a couple of hours to cover ended up taking a whole day! You can do as much or a little as you want in Tokyo, but you will always have an adventure. The Japanese people are lovely, even in such a huge city. They will always stop to help you find what you are looking for. 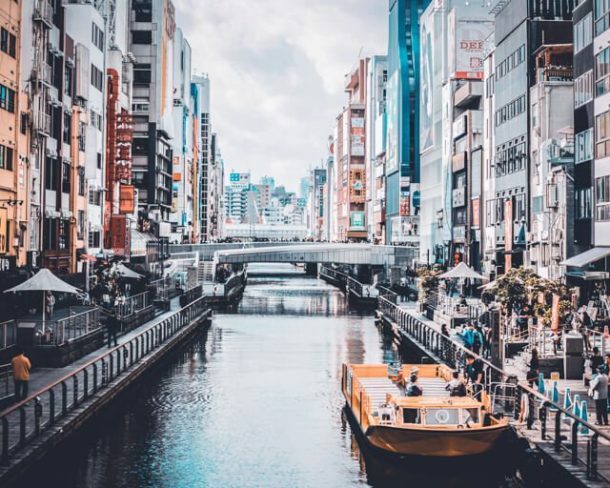 Tokyo offers an unlimited choice of shopping, dining, culture and entertainment while at the same time there are pockets of calm found in their frequent parks. Tokyo is packed with wonder and does not disappoint with its awe-inspiring mix of old and new and crazy, quirky inhabitants. The suburb of Ueno was possibly my favourite place. There is a huge food and clothing market nearby called Ameyoko, which is a delight to all of the senses when walking through. There are a ton of exciting street food stalls that hold strange but delicious looking food. Then across the road is Ueno Park; a seriously huge park full of temples, ponds, museums and even a Zoo. There is another food market here in one of the areas next to the pond, which has some amazing street food. The Zoo is spacious and cheap; only about 460 yen for passport holders ($4) and contained every animal you could think of including red pandas, panda bears and rhinoceros. 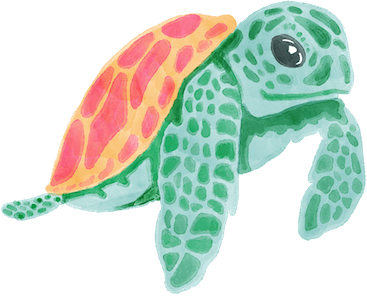 It will take you at least a day to see every animal here. 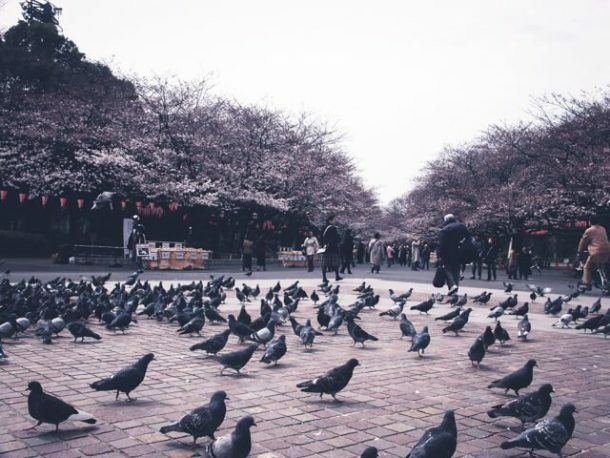 The park also features many museums and it is also a great place to head when travelling during the cherry blossom season as the entire park is adorned with the pretty trees. Shibuya crossing, the busiest crossing in the world, is a mind-blowing way to kill some time in Shinjuku, Tokyo. Take a time-lapse (or Hyperlapse on your phone) of the crossing looking down from the second floor of Starbucks nearby! Ace-Inn Shinjuku is a Capsule Hostel just a 20-minute walk from the heart of Shinjuku (restaurant and club area). It is a relatively easy walk but an even easier train ride. It’s a basic place with a floor dedicated to lounges, the kitchen and socialising. Prices ranged from 2,000 yen ($20) for a dorm room to 3,150 ($30) Yen for a private capsule bed. Eat: In Tokyo, you can easily eat for 300 yen ($3) but a nice meal is usually 700-1500 yen ($7-15). On of my favourite cheap places to eat was Beef Bowl where you can get meat and rice with miso soup for 270 yen! Drink: You can drink anywhere for around 500 yen for a beer or 3,000 yen for a bottle of wine. But you can also buy 1lt cans of beer from any of the supermarkets and drink them on the street. 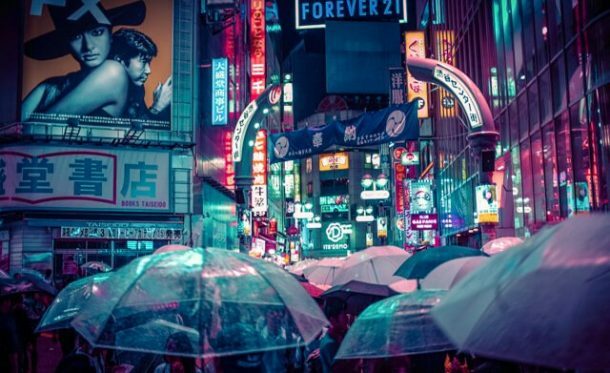 Other than Shinjuku, Shibuya and Roppongi are the best nightclub areas. Feria, a huge, 7-level, crazy club in Roppongi was pretty great. Entry fee is 25,00 yen (includes 2 free drinks). 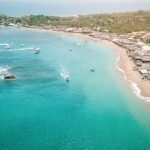 Travel is relatively cheap and the best way to get around is by train. It generally cost me about 700 yen a day more or less to get around. If you are only using one train line it could help to buy a day pass but generally, I found just paying the normal price was usually the cheapest (because you can’t really fit that much travel in a day anyway since the places are so HUGE). The easiest way to get around using the trains would be to grab a Prepaid IC card at the airport. These cards don’t give you a discount but they enable you to ride almost any train or bus in Greater Tokyo (and even other cities in Japan) with just a swipe of the card reader. When you get to a train station ask for an English rail map. This will show you all the train lines in Greater Tokyo as well as connections. It helped me to be able to see what stops were on similar train lines and to more efficiently plan our itineraries. 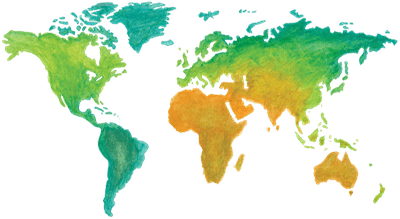 You can also Print the Map in eight different languages before you go. 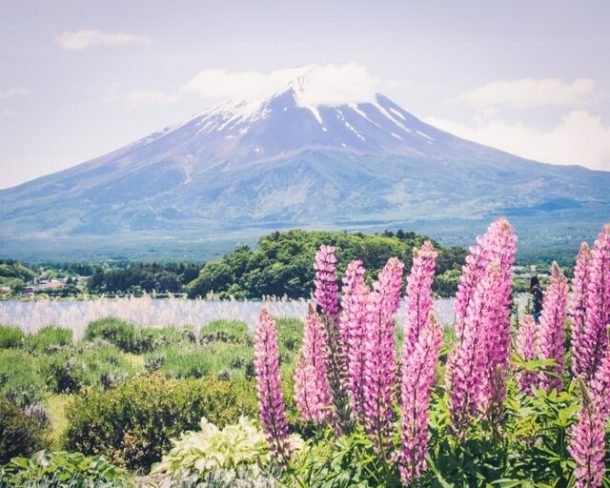 Hakone is one of the best places to get a good view of Mount Fuji and it also has vibrant, therapeutic hot springs, an impressive lake and a whole lotta natural beauty. Being less than 100km from Tokyo it’s a favourite for people getting away from the big city. The foreshore areas around Lake Ashinoko have the best viewpoints of Mount Fuji. If you head to the town Moto-Hakone there is a foreshore walk between there and the next town; Hakone-Machi. Along this walk is a gorgeous Japanese garden (free), which has several lookouts over Mt Fuji. The garden is beautiful and worth the visit even if the clouds cover the view of Mt. Fuji, which actually happens often. On the opposite side of the road to the garden is the Cedar Tree walk featuring huge ancient cedar trees lining the trail. 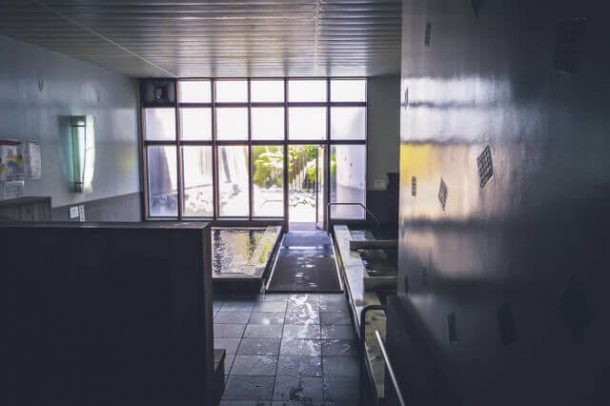 Make sure you try a Japanese Onsen at least once on your trip. 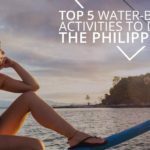 The waters are warm and full of minerals that are good or your skin! 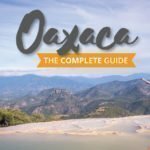 There aren’t any hostels in this area and we had a really hard time finding anything within our price range. It may be better to do this as a day trip from Tokyo though one day isn’t really enough time to see the whole area. After endless searching, we did find one place, B&B Pensione Hakone for 3,000 yen per night for a private room. Though it was quite far from the centre and almost impossible to get to after 8 pm, but the hotel was cute, clean and set within a gorgeous garden. We had a lot of fun there eating meals from the vending machine, trying out their massage chairs and using the on-site Onsen. Hakone is so spread out that I can’t recommend just one place. 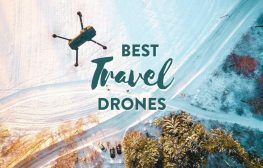 My best advice is to just search because most of the places are really expensive. But you can find hidden gems in most areas that charge around 700 yen. You will get around on a mixture of trains and buses in Hakone. It is widely spread out and can take hours on a bus to get from one area to another, so if you have your own car – take that! You can either buy the Hakone Free Pass in Tokyo (5,000 yen, wtf so expensive!?) or you can buy day passes for the buses once inside the Odawara area (around 1,700 yen). Osaka is Japan’s second most important city being an economic powerhouse for many centuries. It is also the third largest city, and could have been the capital had the Emperor of the time not been overthrown and the new government established in Tokyo. As a place to visit, Osaka is pretty similar to the other big cities. It is quite new and impressive with its large buildings and neon lights. It’s separated into two main parts: North and South and both have their own bustling downtown area. In the Osakako Bay area is Osaka Aquarium; one of Japan’s most famous and spectacular aquariums and home to a Whale Shark. 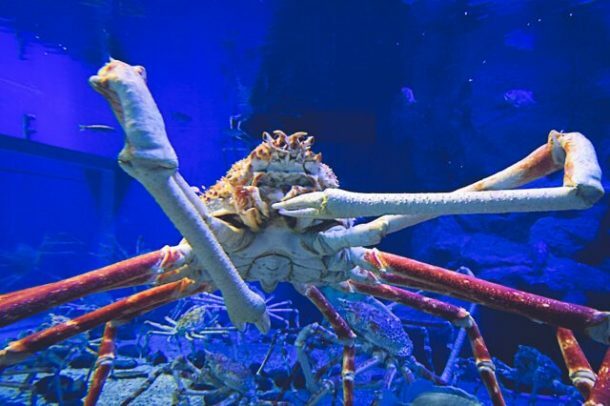 Marine life is impressively displayed in 15 well-organised tanks representing different regions bordering the Pacific Ocean. 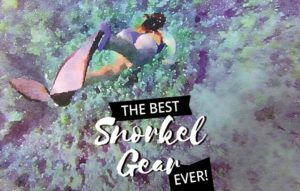 It features the aforementioned whale shark as well as giant otters, seals, dolphins playing with balls, squid, turtles, penguins, jellyfish, giant spider crabs and a huge octopus. Before finishing up you are led to a touch pool where you can stroke stingray and sharks. Right next to the aquarium is Tempozan Ferris Wheel, which is huge (112.5 metres) and offers far-reaching panoramic views of the entire city. I stayed in the South in the relatively unpopular area Shin-Imamiya. It’s dark, dingy and industrial with nothing going for it. I would avoid this area and stay in Namba or Umeda. Head to bustling, famous Namba for countless cute local eateries, good shopping, karaoke, bars and other entertainment. Make sure to try the Takoyaki (Octopus Balls) from one of the street vendors. They are delicious, fresh and hot and you can stand and watch them being made. Similar to Tokyo, Osaka is best surfed by train. It has similar layout and ticket prices too; with a city circle plus extra subway lines to other areas (ticket cost about 200 yen per ride). 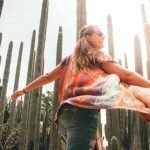 Nara is located between Kyoto and Osaka, an hour from each, which makes it a great place for a day trip from either of those places. 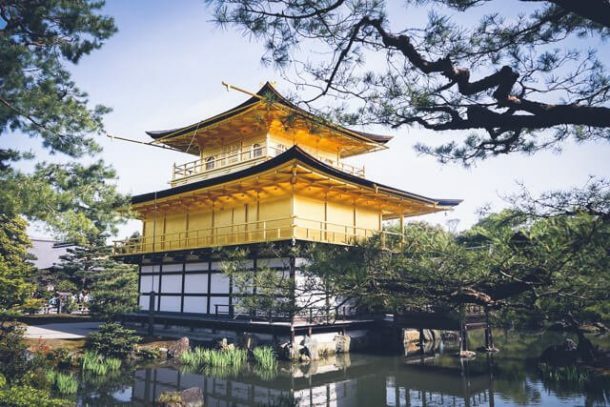 It was Japan’s first permanent capital and so it’s full of historic treasures, including some of Japans largest and oldest temples, including the 5-story pagoda Kofukuji Temple. 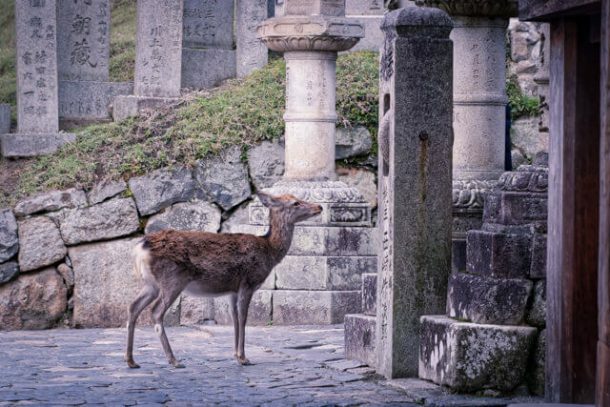 But most people don’t come for the temples; most people come for the tame deer that live amongst the fields and gardens surrounding the temples. Wander around Nara Park and you will soon come across some deer roaming the park. They love the deer crackers that can be bought at the vendors located in the park. But the deer are wild and can get aggressive if they think you have food. Some of the deer have learned to bow to visitors asking to be fed and some will lift their front legs off the ground to catch the crackers with their mouth. I was surprised by how much good, cheap food places were on the streets of Nara. 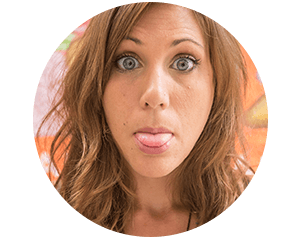 Upon arriving grab a tourist map with food recommendations. There are also market stalls around the entry to the park, which sell deer and temple paraphernalia. After catching the train from either Osaka or Kyoto everything is accessible on foot. Kyoto is one of the oldest and most famous Asian metropolises with a comprehensive mix of old and new. 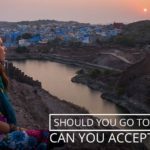 If you want to see amazing, colourful temples and shrines as well as beautiful gardens then this is the place for you. 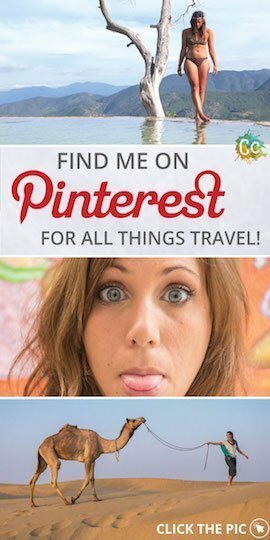 There are so many awesome things to do in Kyoto! Plus you can easily do many different day trips from Kyoto JR station. Kyoto is home to Gion (the Geisha district) as well as some of the most beautiful temples and shrines in Japan. Kyoto has a great vibe, it’s relaxed but still a big city, and a place you could easily spend a week. 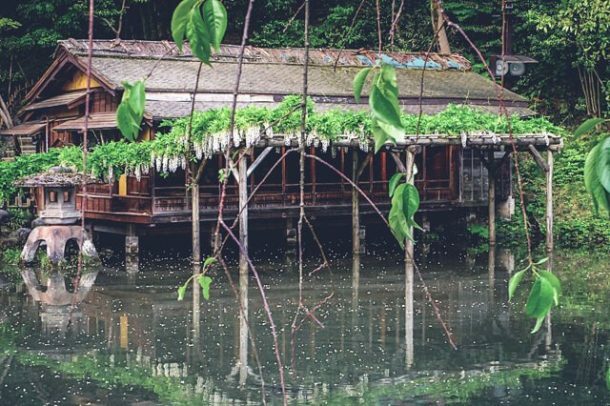 There are gorgeous temples and gardens, a river with traditional boats, a monkey park atop a mountain with views to Kyoto, a bamboo forest and gorgeous market-style food places. You can hire bicycles to make your way around the little town easier. There are loads of mouth-watering food places lined up along the streets. 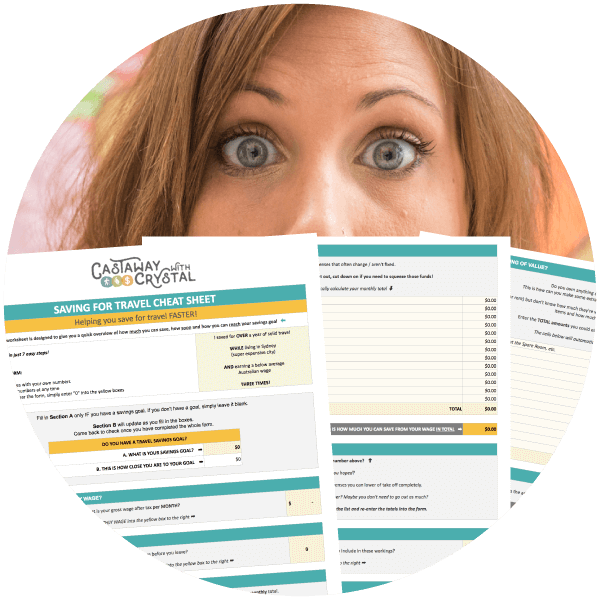 Be prepared to spend a little bit of money here though – everything costs! 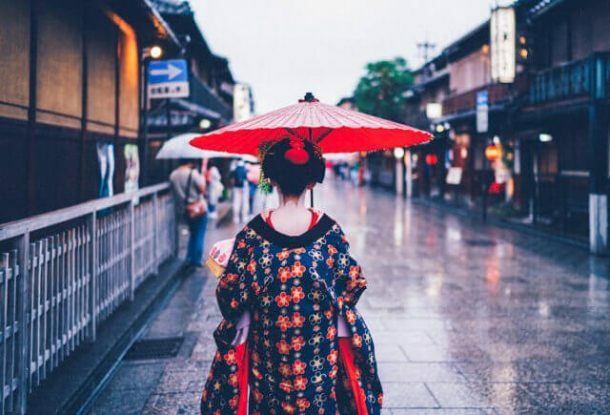 This is where you are most likely to spot a Geisha. I heard that they don’t particularly like photos though and tend to hide away from the public. Situated near a cute town on the western outskirts of Kyoto, is the famous bamboo forest featured in many pictures from Japan. It is located in the Arashiyama district so be sure to visit when you go looking for a Geisha. This area is particularly beautiful in autumn and the cherry blossom season. If you have enough time in your Kyoto Itinerary, drop over to Kikakuji (the Golden Pavillion) featured in all the Kyoto pictures. 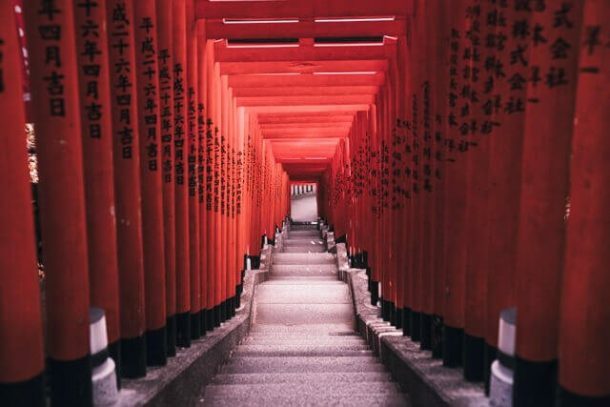 Another amazing place is the Fushimi Inari Shrine in Southern Kyoto. It’s famous for the thousands of orange torii gates that wind through the surrounding forest and mountain area. The gates are donated by businesses which, in return, have their names inscribed in black kanji. When doing the Inari gates you can either have a casual walk around the forest or you can make a day of it and hike the mountain. Mount Inariyama has countless vending machines along with the odd restaurant on various parts of the mountain that all have gorgeous views of the surrounds. J-Hoppers Kyoto was a great place to stay. Rooms are 2,500 yen for an 8-bed mixed dorm. These were the best bunk beds I’ve stayed in, ever. All hardwood with shelves next to the bed, curtains all around, big mattresses, lamps and power cords and enough room for you to take your backpack in, even on the top bunks. It doesn’t have too many lively drinking places close by but did have some really good, cheap places to eat. 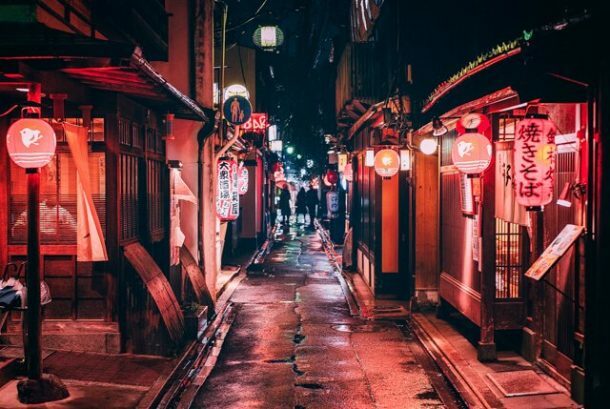 Pontochō Street is one of the most atmospheric places to eat and drink in Kyoto. The narrow but long Alleyway Street runs along the river is like stepping straight into a Hayao Miyazaki film! Generally, all the restaurants on the riverside are expensive but you can find lots of cheap, cute places on the opposite side. The best way to get around Kyoto is by bus and train, depending on where you’re going. Most places you can get to by train but some (such as the Geisha district; Gion) are only accessible by bus. A bus or train ride is usually around 200 yen for short distances. Kanazawa is a beautiful small town featuring Kanazawa Castle, 21st Century Museum and Kenrokuen Garden; one of Japans most beautiful award-winning gardens. This place can be easily done as a day trip from Kyoto as long as you get up early (the ride is about 2-hours). Spend the first half of the day wandering Kenrokuen gardens and have lunch at a teahouse next to the pond. The garden is breathtaking, especially in autumn or Cherry Blossom season when the colours come out. 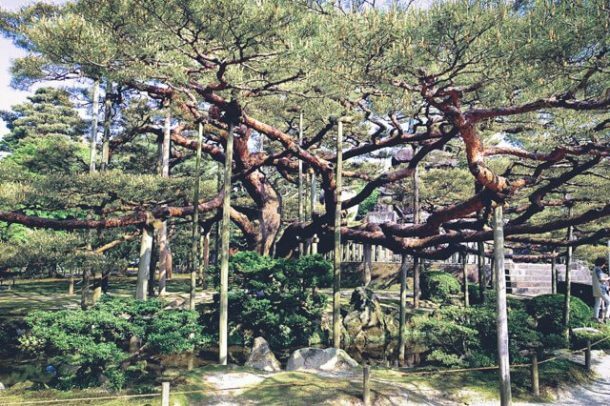 The name ‘Kenrokuen’ literally means “Garden of the Six Sublimes”, referring to spaciousness, seclusion, artificiality, antiquity, abundant water and broad views, which according to Chinese landscape theory are the six essential attributes that make up a perfect garden. Artificiality is an integral part of this garden. Most of the larger trees have blocks of wood underneath their branches. These wooden poles either hold the branches up so the trees can grow wider easier (which create spectacular views when they grow out over the ponds) or the wood is used to manipulate the trees into growing into a spiral shape (which make the trunk look stunning). After catching the JR train to Kanazawa you will be getting around by bus. We bought a day ticket for the park circle for 500 yen. Be careful though, we found the buses to be a little bit confusing and actually got hopelessly lost so make sure you have a quick chat to the tour office before you go to catch a bus. The only thing I really wanted to visit in Hiroshima was the Peace Park, so only nominated one day there. The Peace Park was a mix of beauty and confrontation. Being an Australian I still felt an immense amount of guilt and anger about what happened to so many innocent people here during the war. The park is built on the open field created by the A-Bomb explosion. 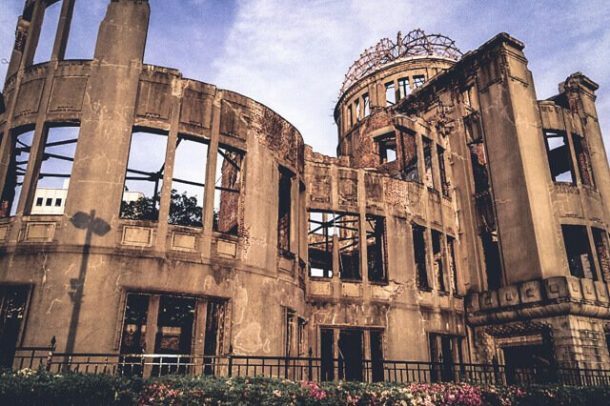 There are a number of museums, monuments and memorials as well as the A-Bomb Dome, which are the skeletal ruins of the former Industrial Promotion Hall. The Peace Memorial Museum is beautifully set out with most things written in Japanese and English. 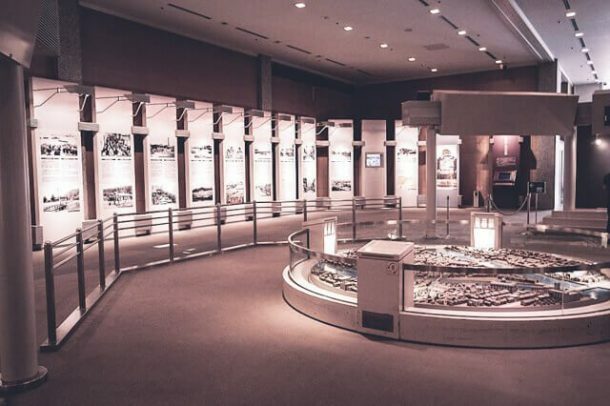 It displays belongings left by the victims, photos and other materials that convey the horror of the event, as well as exhibits that describe Hiroshima before and after the bombing as well as artefacts from the war and exhibits that present the current status of the nuclear age. Although shocking and hard to digest the museum has pieces of children and teenagers clothing alongside individuals stories about what happened to them after the blast. Most people did not die straight away but died 1-2 days later. Those 2 days were filled with immense pain and confusion as to why their nails and hair were falling out. One story that really got to me was that of a young boy whose nails had fallen out and amongst the confusion and rubble he became so thirsty he sucked the pus from his fingers. A very effective exhibit is that of a series of telegram protests against nuclear testing written by the Mayor of Hiroshima. Since 1968, each time a country conducts a nuclear test, the mayor of Hiroshima writes a letter of protest to that countries leader. It is sobering to see that there are over 700 letters. J-Hoppers Hiroshima is 2,300 yen per night and is a very short walk away from the Peace Park. 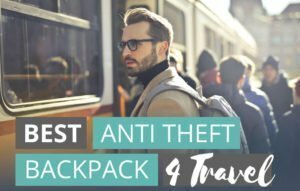 Though the 20-minute tram ride from the station isn’t such a breeze with backpacks. The rooms were big and clean and J-Hoppers has lots of nice extras, such as curtains around the beds, a basket near your pillow for phones and lamps and power points next to every bed as well. Hiroshimas speciality food is Okonomiyaki, which is a sort of hot plate fried stack of Udon Noodles, cabbage, egg and other delicious things, which is served with a sauce. A plain one is about 600 yen then you can have toppings of fried fish, chicken, etc. Hiroshima is also well known for it’s huge, thick, delicious oysters (kaki), which can be bought for around 500 yen and are served many different ways. Trams are the way to get around Hiroshima. They are quite cheap at about 300 yen a ride. Have time to relax? Beppu is a cute small-ish sulphur-smelling town located between volcanic mountains and the beach. It is mainly famous for its relaxing hot springs and laid-back atmosphere. The main area is on the beach, but as you head towards the mountains you begin to smell the “rotten egg” and see more of the traditional-style housing. Despite Beppu’s smaller size, there is still 3-4 days worth of things to do and see here. 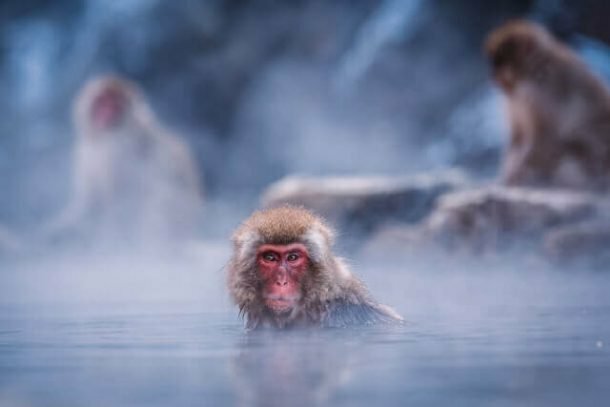 In the winter, it’s also a perfect place to see the “snow” monkeys bathing in the warm waters of the Onsen. I came to Beppu for the Onsen. I love to soak in hot water and this hot water, with its nutritional qualities, was perfect. My favourite Onsen was Kitahama Spa Termas because it has a brilliant view from the spa of the city and surrounding mountains, and also because you can wear swimwear in the outdoor Onsen. Getting naked in the public Onsen was a bit traumatic at first. But once I did it a few times it became slightly more relaxing. 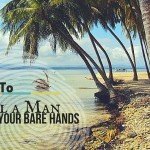 Read about my traumatic experience of getting naked for the first time here. 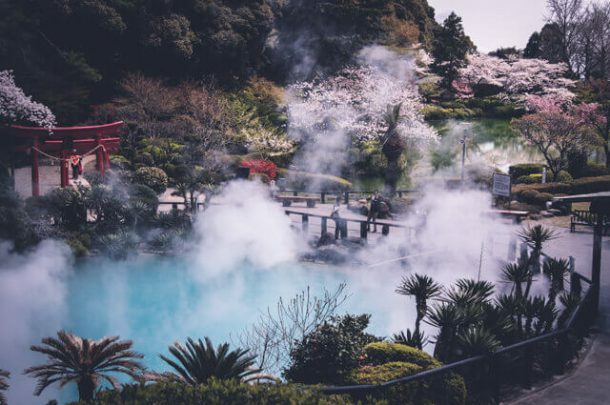 Beppu’s main tourist attraction is the ‘Hells;’ spectacular, colourful hot springs for viewing rather than bathing. Just outside of Beppu is a cheap Monkey Forest filled with Macaques. It’s easy to get to on the bus and the whole area is very pretty. This is where you can get the famous “Snow Monkey” photos of them in the hot springs if you come in Winter. Cabosu House Beppu Hamayu had to be the cheapest place I stayed during the whole trip. At 1,500 yen a night for a clean room with only four people in it, it was also the best value! Staff were friendly and it was very accessible (only 5-minute walk to any of the bus or train stations). In Beppu, I had the best Ramen I’ve ever tasted. It cost 800 yen with free noodle refills so would be easy to share. There is a great food strip in the main area but the price of food in Beppu was a bit higher than the cheap prices I’d become accustomed to in Tokyo. For drinking, this place is small-town. Get your karaoke on at the bars that double as social drinking places. Drinks are around 700 yen. Costs for transport here are quite low. There are 2 bus lines and a train line. The bus will take you around the hells and other mountainous areas of Beppu for a 900 yen day pass. After Beppu, fly back to Tokyo from Ōita Airport. Flights are around $80. Otherwise, the train is your next best, but prices could be more expensive than a flight. Check both. 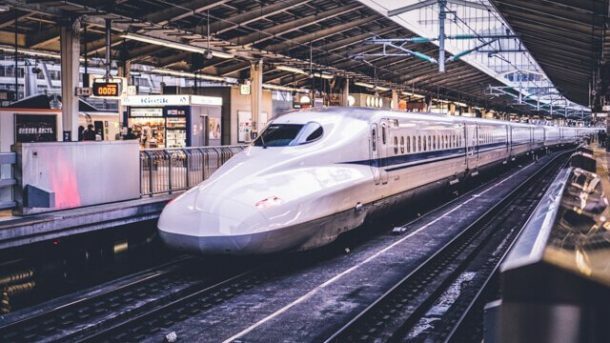 The bullet trains (Shinkansen) are fast and quite the novelty, but they aren’t always the cheapest way to get around Japan. But the best way if you’re doing a lot of travel in a small amount of time is to buy a JR Rail Pass. Do your research; some of the places can be accessed by overnight buses, which are significantly cheaper, or by plane if there’s a sale. I bought a 7-day Rail Pass for the two weeks because I stayed in Tokyo for five days and then flew to Beppu in the South. That way I only needed a Rail Pass to get between the other cities, and I did that all in one week. Japan is incredibly beautiful in any season. 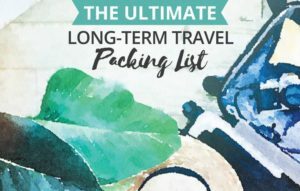 Even if you were doing this same Itinerary in Winter, Autumn or cherry blossom season (April-May) you would still see the best of Japan as there are many monkey sanctuaries with springs to see the monkeys bathe, cherry blossom filled parks and loads of rolling tree-soaked hills that would look stunning in Autumn. However, if you were travelling to Japan in Winter, you might consider going north to go skiing. 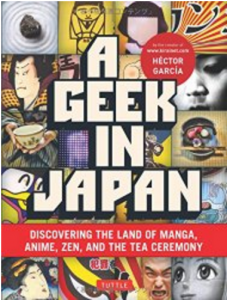 A Geek In Japan was a really useful guide for me while in Tokyo. 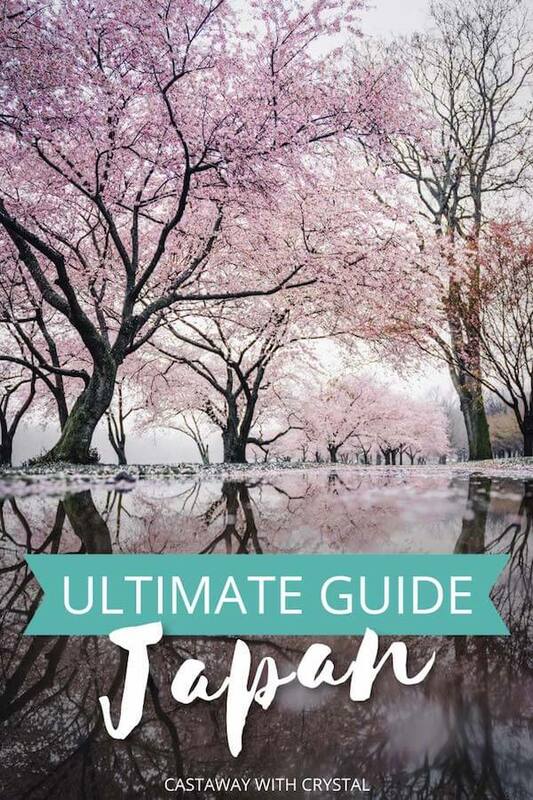 It has a whole chapter with tips of things to see and do in Tokyo as well as another chapter on the rest of Japan. The book is written in a quirky and fun way and light-heartedly delves into the strange Japanese culture and mannerisms. 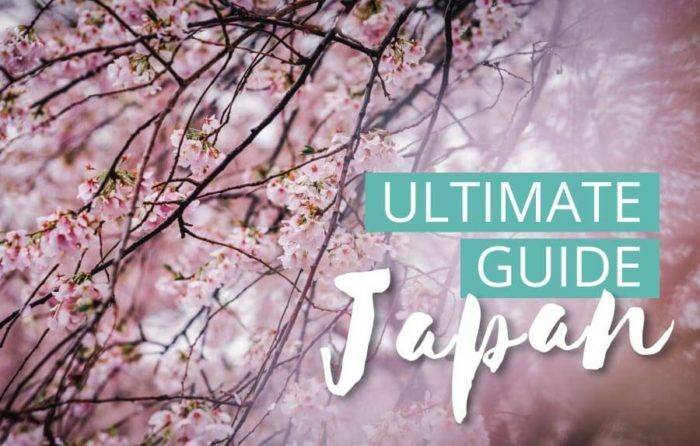 READ MORE: Here’s another great Japan Itinerary, including more useful tips for an awesome time! If you were going to head to Japan, what season would you go in? Tell me in the comments below! 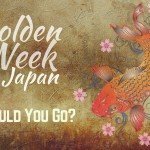 Golden Week in Japan: Fun or Hectic? I haven’t been to Japan yet, but I wouldn’t even know which places to choose. They all sound so interesting, especially Beppu. I had a friend who lived in Japan while serving in the air force. 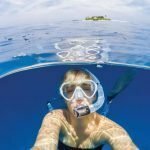 She has great tales and photos. I head to Fukuoka in 2 weeks an can’t wait to explore there as well! I think Kyoto was one of my top favourites as well.So many awesome things to do there. Especially the food places, yum! Japan has been on my list for a while. I’m still mad I didn’t take advantage of my long layover there and venture into the city even for a bit. Thank you for sharing such a thorough list. This will definitely come in handy when I finally make it there! what a fantastic comprehensive entry! i can’t believe how amazing the aquarium sounds (i’m a marinelife lover). how the heck did the fit a whale shark in there?! I know right? It is by far the BIGGEST aquarium I have ever been too (and the whale shark was a babeh). I do think it’s a bit cruel though. 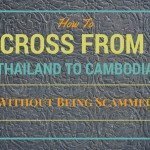 This is a great post packed with useful information. Thanks for sharing! What a great itinerary! You’ve put so much thought and facts into this piece, I am impressed. Though I haven’t been to Japan yet, I feel quite sure I would need a guide to get me through all these things you mentioned. I would be so overwhelmed. I’ll be going to Osaka next year with my 1-year old and Nara’s deer park looks really great for some family fun! We’re off to Japan in a few weeks so this is really useful, thanks. Nice post, Crystal! Thanks! We’re heading there next week! I can’t remember as I wasn’t tracking my expenses back then, but I think it was about $30-$50 a day excluding the Bullet Train pass. This is so insanely helpful!! 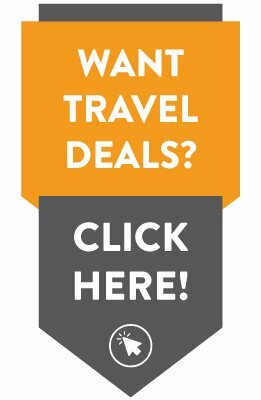 My daughter’s college has a summer program near Tokyo that she’s considering signing up for next summer, and I want to plan a trip to coincide with her visit. You’ve basically just planned my entire itinerary for me! That last photo of the macaque is stunning! I visited the monkey forest in Ubud and fell in love with the little creatures, so I’d love to see them again. Pinning this for future reference, and thank you for such a detailed post! Wow what an extensive guide! There is just so much to do in Japan! I hope I get to go back one day :). So comprehensive Crystal. Am heading for Tokyo in September, will be bookmarking this. Am thinking Hakone might be on the cards reading this! That sounds amazing! How long will you stay for?